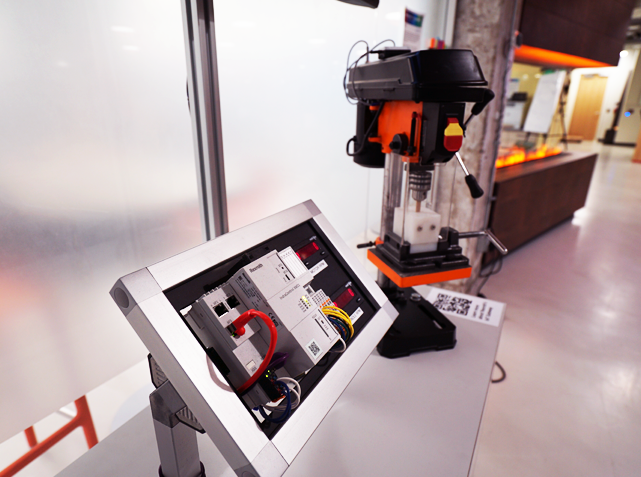 The Chicago Connectory offers an immersive Internet of Things (IoT) environment where you can engage with a variety of connected products from different industries. From connected coffee machines to 3D printers, we host a number of different connected devices for anyone to visit and learn about how the Internet of Things is becoming part of our daily lives. 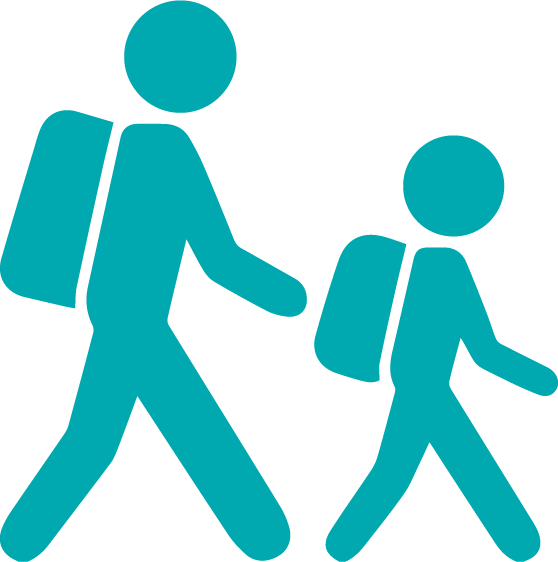 Book a tour or get in touch with us, to learn about IoT and experience the Chicago Connectory. 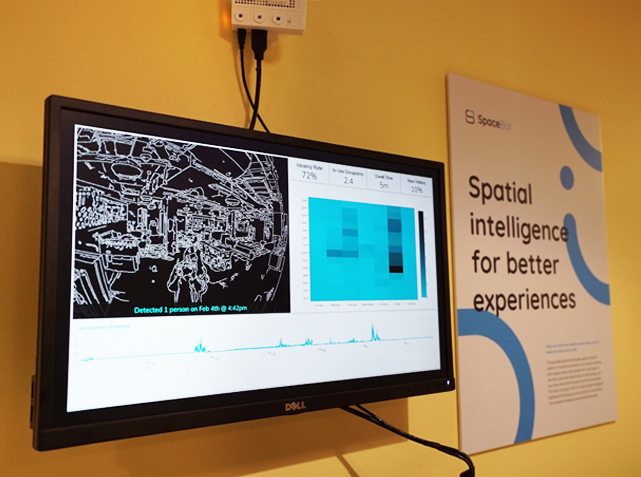 Chicago Connectory member, SpaceBot, uses a combination of computer vision and wireless signal tracking to observe what people are doing in a particular space and understand how people are using technology in that space. 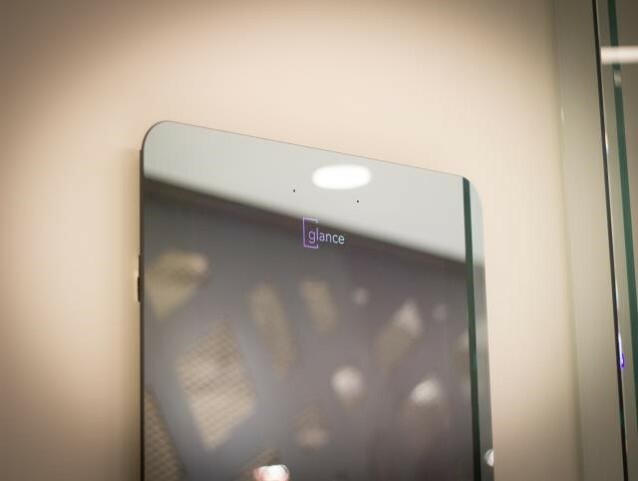 Glance Displays is a smart mirror that allows users to view their commute, local weather and their Google calendar. This smart mirror also has the capabilities of connecting to Amazon Alexa and Bosch Home Appliances. 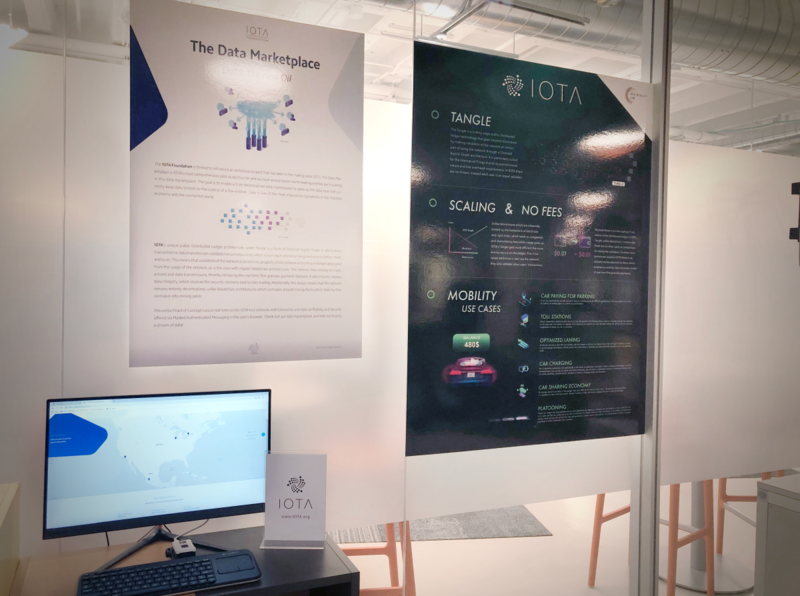 IOTA (Internet of Things Application) is a crypto technology that uses the currency (MIOTA) in order to facilitate transactions between IoT devices. Contrary to Bitcoin, IOTA uses a scalable network called the Tangle instead of outdated, costly blockchain technology. 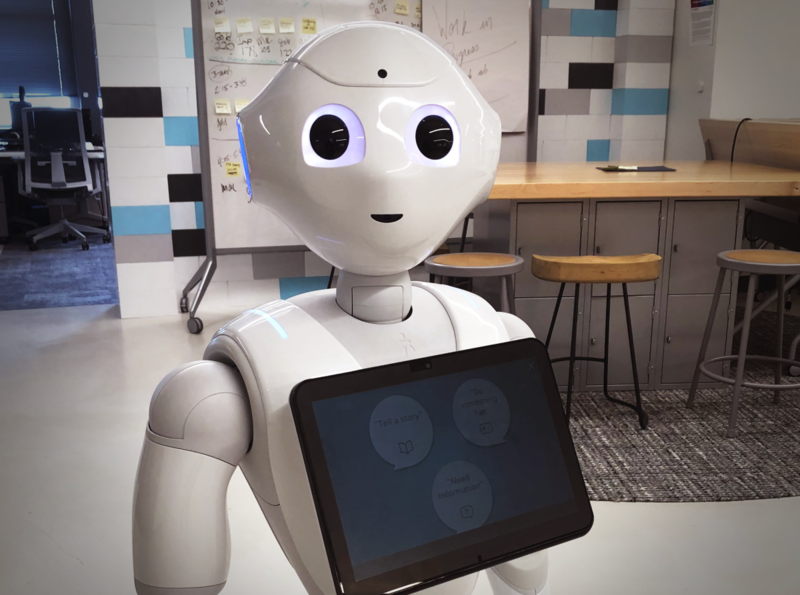 Optimized for human interaction, Pepper is the world’s first humanoid robot that has the ability of recognizing faces and emotions. She is able to dance, take selfies and converse with people through her central touchscreen interface. This older generation Bosch drill is instantly transformed by attaching a Bosch XDK. With the XDK, a user is able to compare spindle and motion speed, create events and thresholds in order to maintain the drill over time and even receive notifications when a harsh motion is detected. The modern components and freedom in design of the Bosch drive systems represent the foundation for a diverse choice for bike enthusiasts - regardless if it is a mountain bike, trekking, city, or a touring bike. 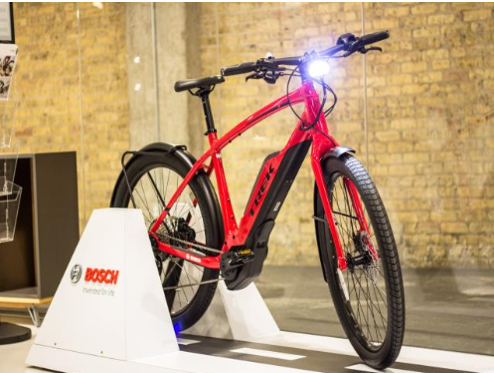 Powered by a Bosch motor, this e-bike allows users to view key riding data and bike optimized route calculations. The Chicago Connectory is home to multiple connected appliances from Bosch. The Bosch HomeConnect Coffee Machine allows users to customize their coffee and integrate international coffee recipes via the Bosch HomeConnect application. 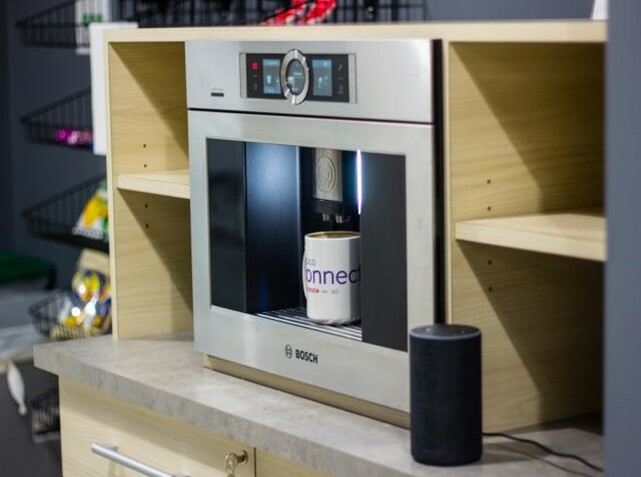 This coffee machine also pairs with Amazon Alexa, allowing users to order coffee via voice commands. This demo showcases three components of IoT – hardware, connectivity and a cloud platform. The Bosch XDK senses temperature, light, humidity and pressure. 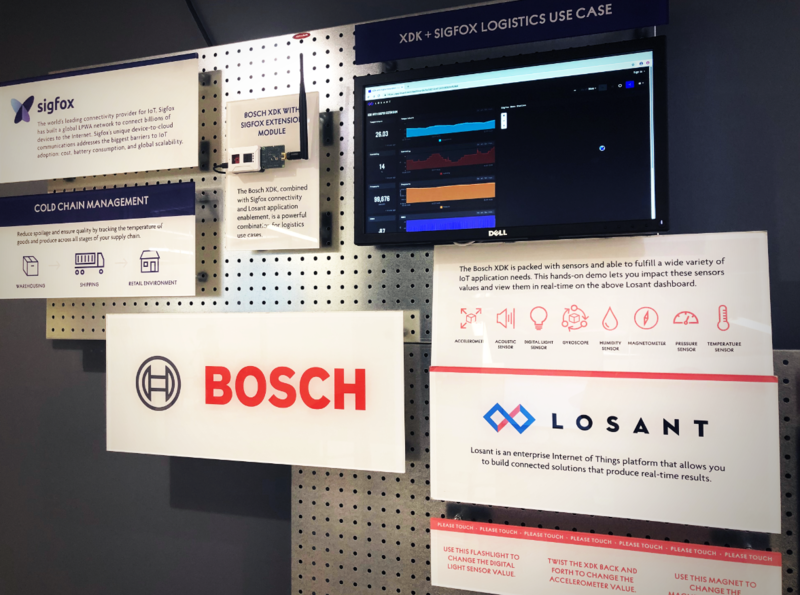 SigFox allows device connectivity for the XDK, and Losant’s IoT cloud platform allows users to analyze the data from the XDK. 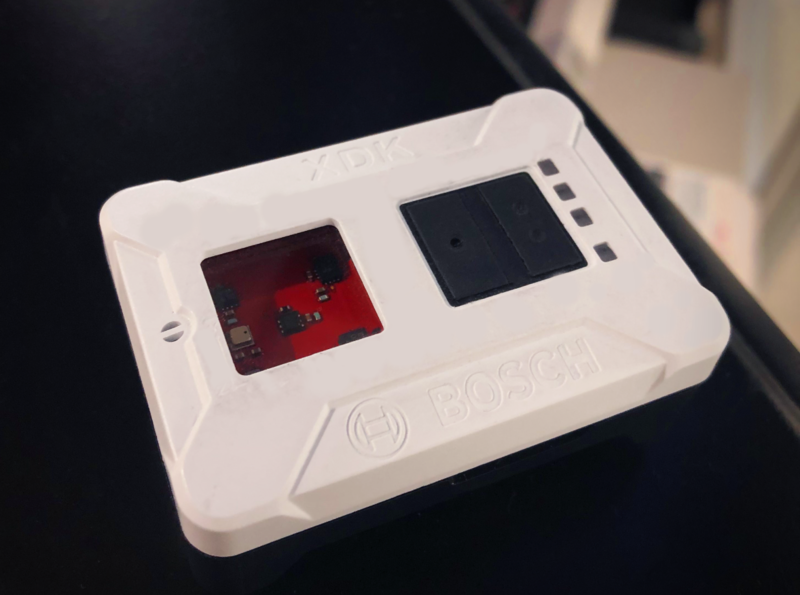 The Bosch XDK, or Cross Domain Development Kit, is multi-functional and quintessential to startups in IoT. This sensor has the ability to track motion, temperature, humidity, and has its own workbench, allowing users to build their own projects. 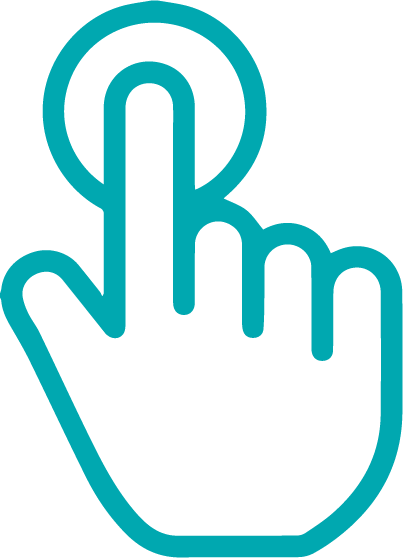 This XDK is open for use at the Chicago Connectory and is utilized by numerous demos. Experience the space and engage with new start-ups and corporate technologies. 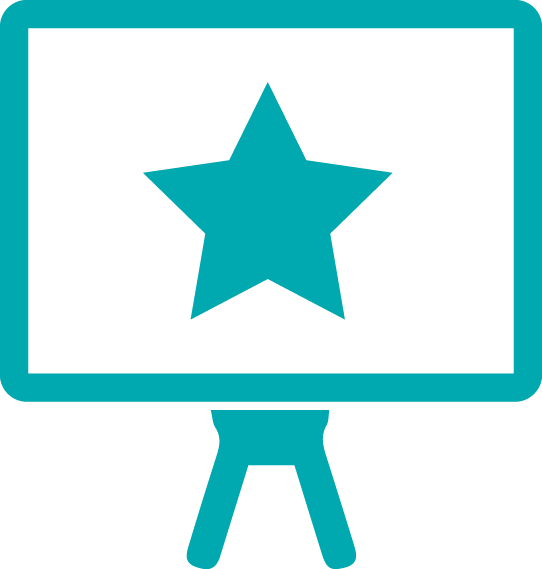 Introduce others to your idea by showcasing your demo at the Chicago Connectory! Take a tour of the Chicago Connectory to learn about IoT possibilites.